"BY FAR THE BEST ESTATE AGENT WE HAVE EVER USED!" Josh was outstanding - talented, professional and knowledgeable. His advice was refreshingly honest rather than focused on trying to win the business. Josh showed a high level of interest for our requirements and was a ray of sunshine in a stressful period of time. Josh kept us updated constantly and we were really impressed with his service and how he operates. By far the best estate agent we have ever used! We were really happy with the service we got from Josh. He was calm and professional throughout, he knows the market really well and managed to get us a good price. He was very responsive and guided us through the long and stressful process of selling a property. We’ll definitely use him again. I have worked with Josh on a number of transactions. He has always been professional, responsive, honest and straightforward. His advice and assessment was frank and prescient, and I wouldn’t hesitate to recommend his services. He was always willing help, is a pleasure to deal with and makes you feel at ease. "SO APPRECIATIVE OF THE SERVICE FROM JOSH"
We were so appreciative of the service we received from Josh. He helped us sell our house and buy our new home. He knows the local area really well, and his advice was invaluable. Josh ensured the process was as smooth as possible and was a pleasure to deal with. I would highly recommend Josh for your next house purchase or sale. 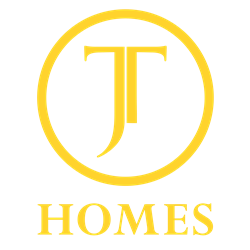 "EXTREMELY PROFESSIONAL AND FOCUSED IN SECURING A PURCHASER FOR OUR PROPERTY"
Josh was extremely professional and focused in securing a purchaser for our property. He helped streamline the process to ensure everything completed within the parameters we set out on day 1. "I NEEDED SOMEONE TO ADVISE ME THROUGH THE SELLING PROCESS AND MANAGE ALL THE CHALLENGES ALONG THE WAY AND JOSH DID BOTH OF THESE BRILLIANTLY." Josh was very professional, efficient, straight talking and knowledgeable about the local market. I needed someone to advise me through the selling process and manage all the challenges along the way and Josh did both of these brilliantly. Josh also managed to get well over the asking price. 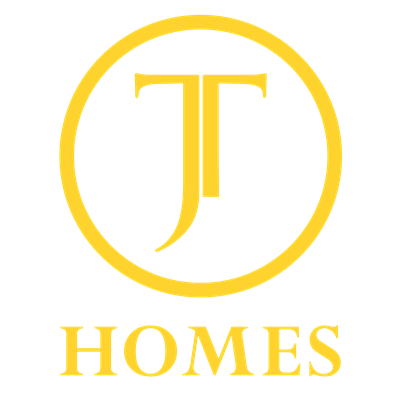 I would certainly use JT Homes again and recommend to others. "HIS FRIENDLY AND PROFESSIONAL APPROACH ENSURED A VERY SMOOTH PROCESS"
It was an absolute pleasure dealing with Josh who couldn't have been any more helpful, informative, and reliable. His friendly and professional approach ensured a very smooth process. I would recommend his services to one and all. "AS FIRST TIME BUYERS, HAVING AN AGENT TO GUIDE US THROUGH THE PROCESS AND HELP US AVOID ANY HICCUPS WAS VERY IMPORTANT"
As first time buyers, having an agent to guide us through the process and help us avoid any hiccups was very important. From the first call until completion, Josh kept us well informed, was transparent throughout, and made sure to always be available. Josh ensured that our purchase could be as smooth as possible - a real pleasure to have dealt with and thoroughly recommended! "JOSH WAS A PLEASURE TO DEAL WITH"
Josh was a pleasure to deal with and took less than a week to secure an offer on our flat. Fantastic service! "HIGHLY RECOMMEND JOSH TO ANYONE SELLING THEIR HOME"
Highly recommend Josh to anyone selling their home. Josh is very professional and knowledgeable and always adds a personal touch, many thanks! "JOSH MADE THE WHOLE PROCESS OF BUYING OUR NEW HOME EASY AND STRESS-FREE"
Josh is a very professional, friendly and accessible agent to work with. From the initial viewing through to the final steps of the buying process, Josh was a pleasure to work with, especially as first time buyers. It was clear that he was very knowledgeable about the market and the neighbourhood where we were looking and he was very straightforward and honest in his guidance. Working with Josh made the whole process of buying our new home easy and stress-free. We love hearing feedback from our clients – please fill in the form and let us know your thoughts.